A central gable with Palladian window tops the cozy front porch of the Powell, welcoming guests into the home. The great room opens out to the rear screen porch and covered deck, creating a comfortable place to enjoy the outdoors. This open plan offers plenty of storage space with a closet and nook in the foyer, a utility room with pantry, and additional storage area in the side entry garage. 1st Floor: 1970 Sq. Ft. 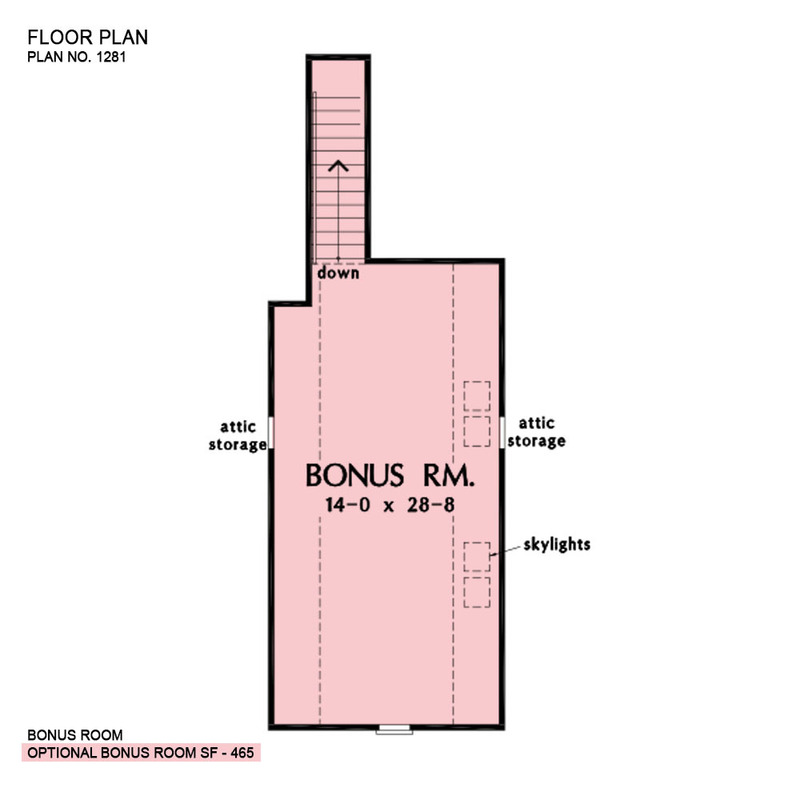 Bonus Room: 465 Sq. Ft.
Porch - Screened: 135 Sq. Ft.
Porch - Front: 159 Sq. 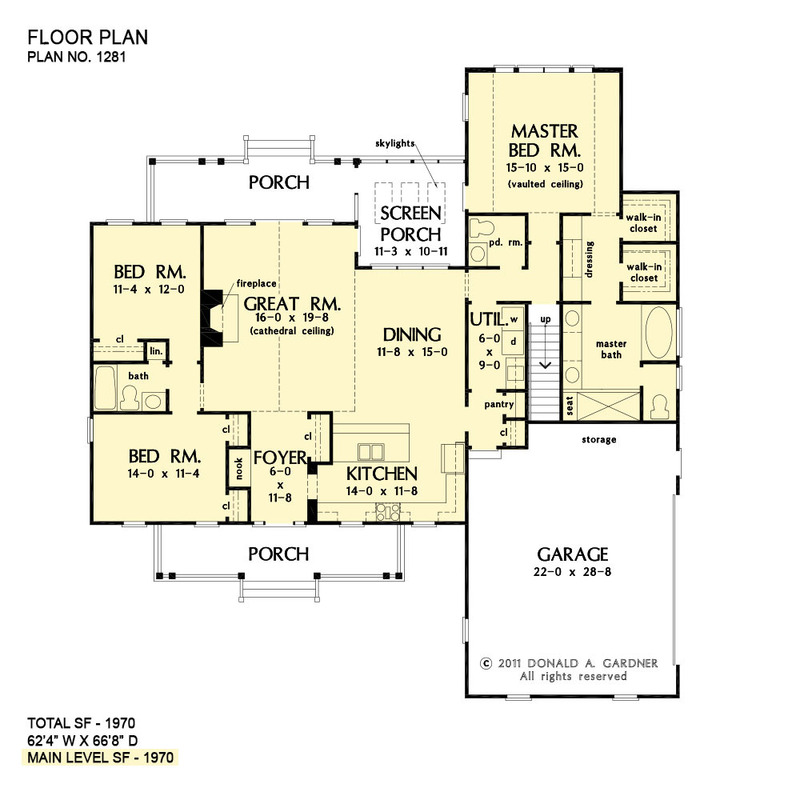 Ft.
Porch - Rear: 154 Sq. 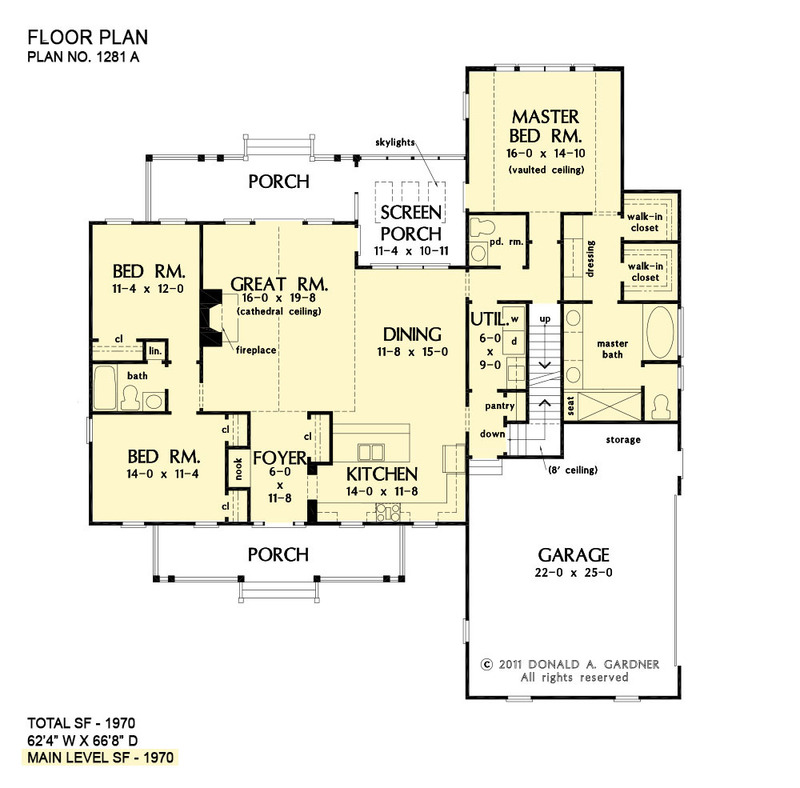 Ft.
House Dimensions: 62' 4" x 66' 8"
Master Bedroom: 16' 0" x 14' 10"
Bedroom #2 : 14' 0" x 11' 4" x 9' 0"
Bonus Room (Sloped): 14' 0" x 28' 8" x 8' 0"
Dining Room : 11' 8" x 15' 0" x 9' 0"
Garage Storage : 15' 8" x 2' 8" x 0' 0"
Great Room (Cathedral): 16' 0" x 19' 8" x 18' 1"
Kitchen : 14' 0" x 11' 8" x 9' 0"
Master Bedroom (Vaulted): 16' 0" x 14' 10" x 12' 4"
Master Dressing : 6' 0" x 9' 0" x 9' 0"
Porch - Rear : 22' 0" x 7' 0" x 9' 0"
Porch - Front : 26' 6" x 6' 0" x 9' 0"
Porch - Screen : 11' 4" x 11' 8" x 9' 0"